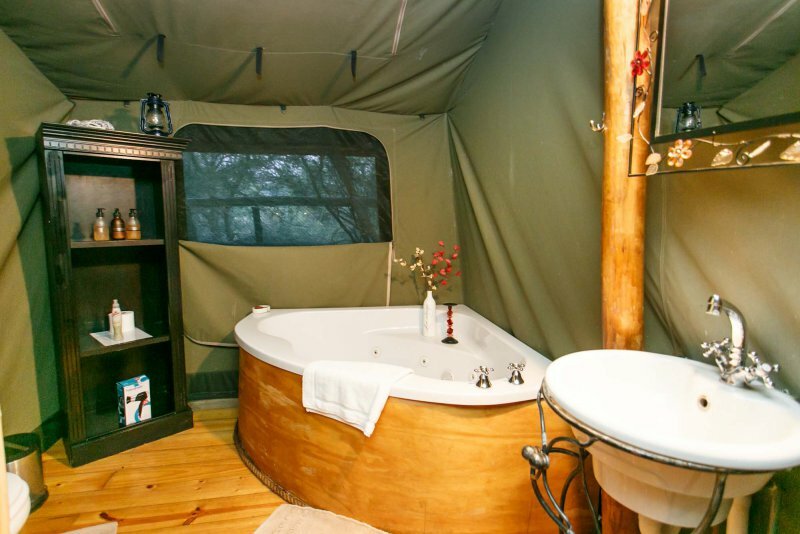 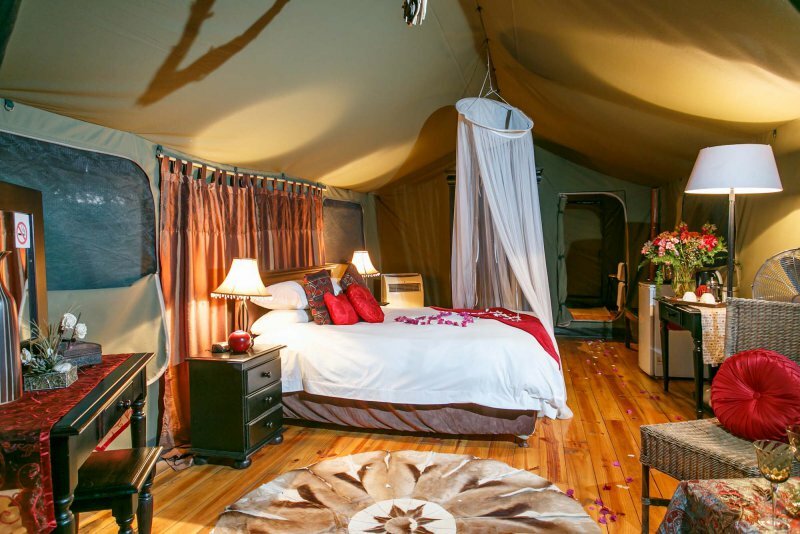 A memorable feature of Chandelier is our en suite tented accommodation. 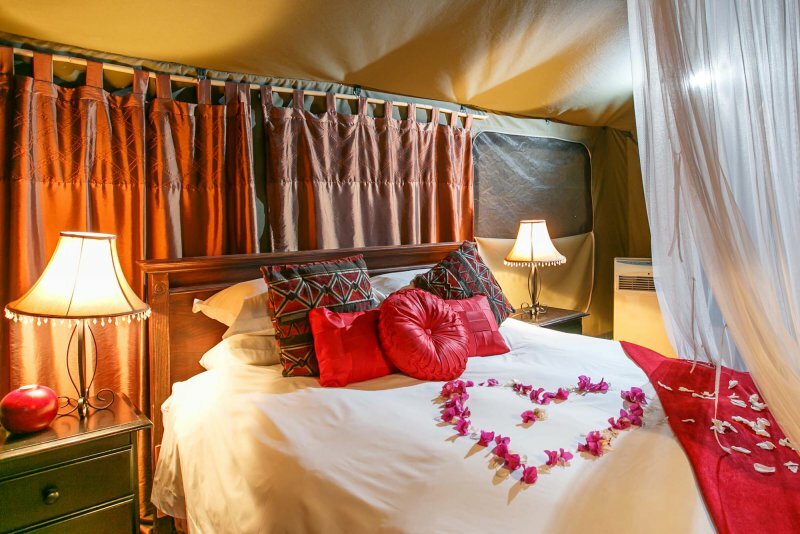 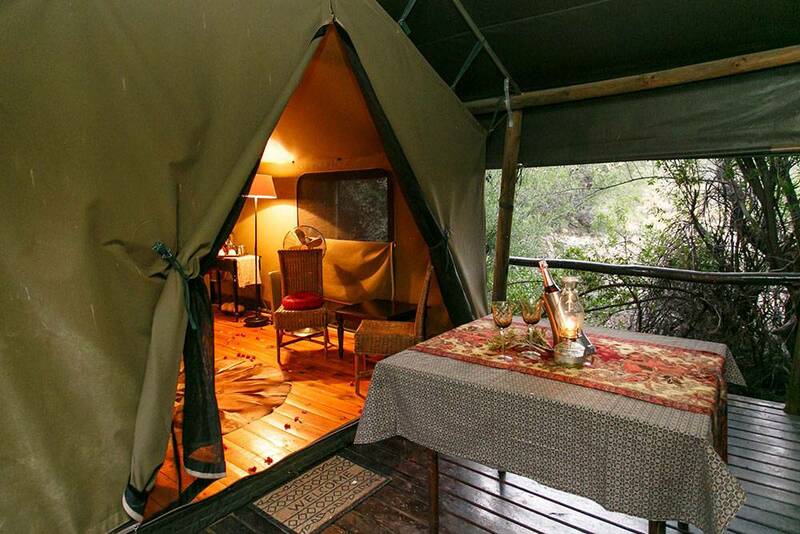 These tents offer a sensational bush experience – quality is in the detail. 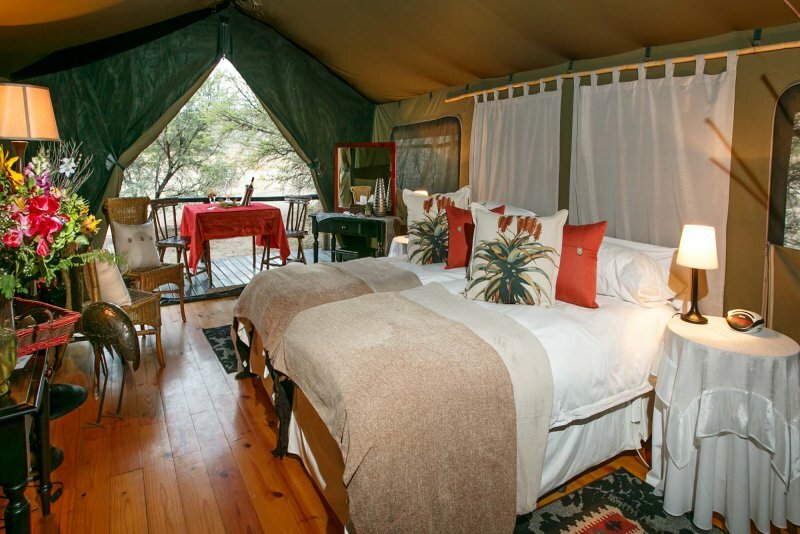 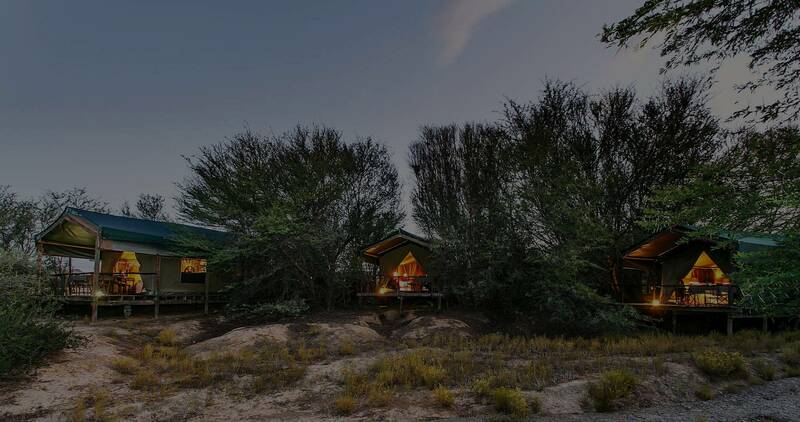 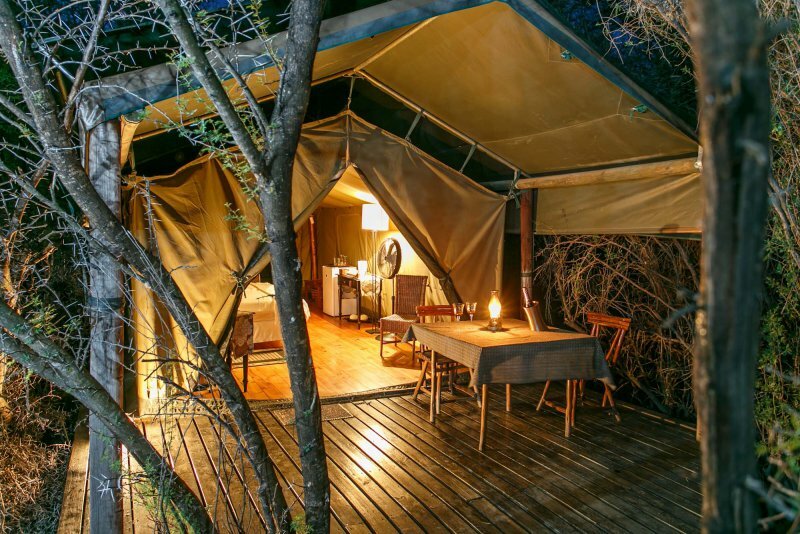 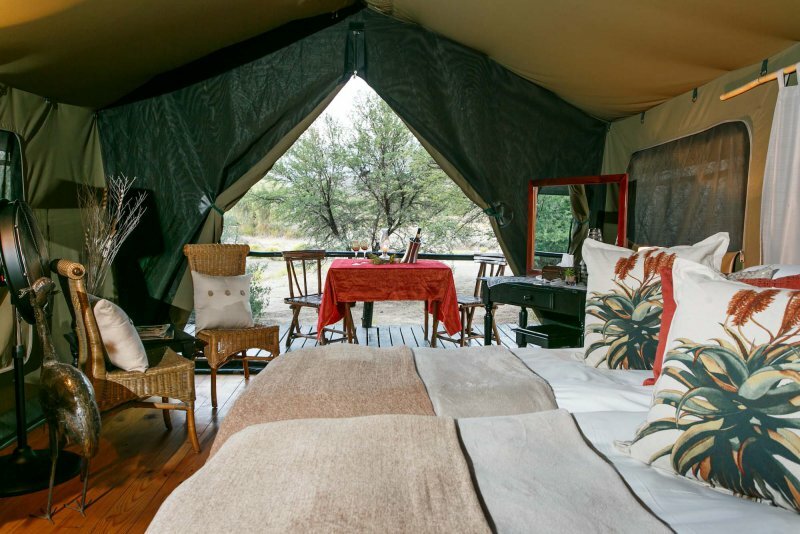 The tents are placed on wooden decks in the bush and great care has been taken to assure privacy and spectacular views. 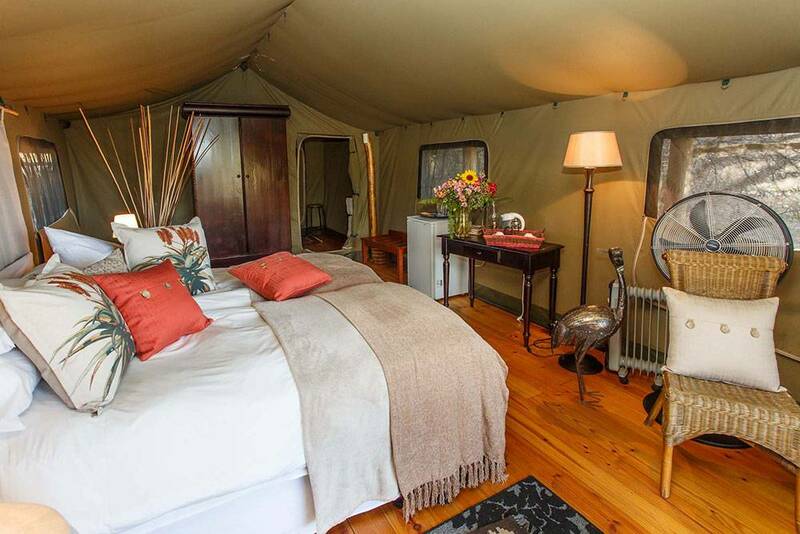 A good option for Oudtshoorn tented accommodation. 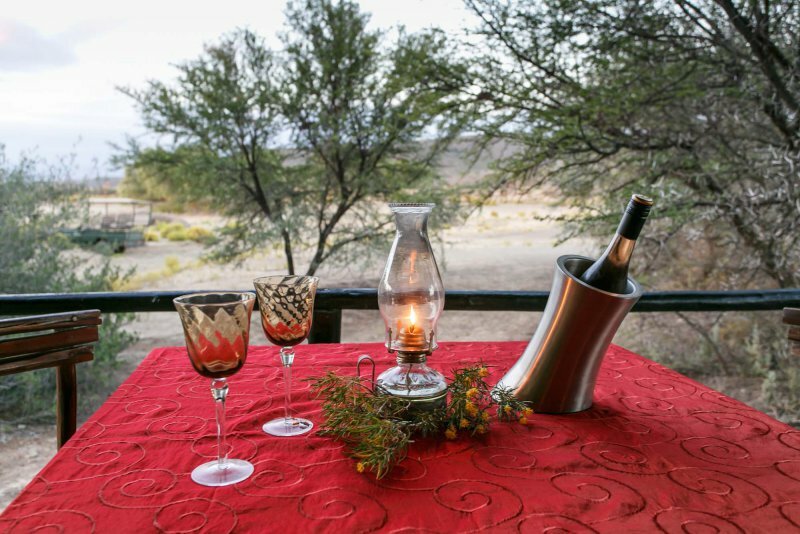 People come to Chandelier and the Klein Karoo for our great natural beauty in mountainous surroundings – they stay for our warmth and hospitality. 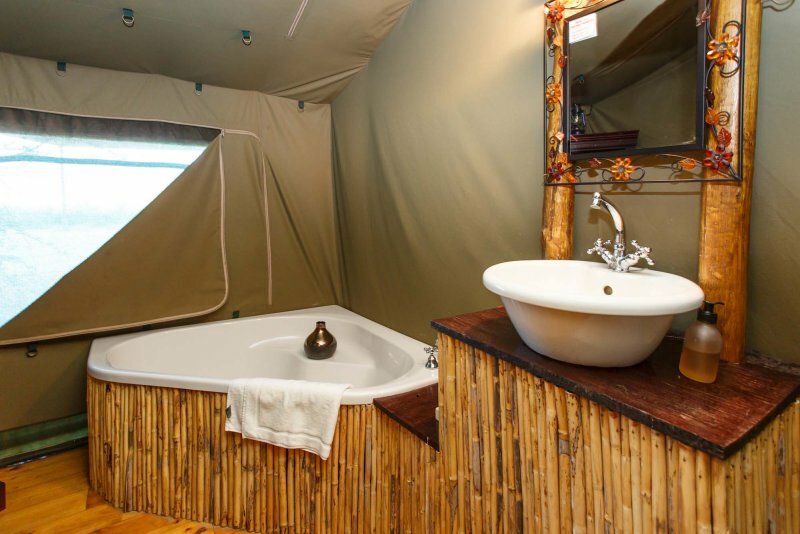 The luxurious en-suite tented chalets is situated on wooden decks, but is private under a canopy of trees. 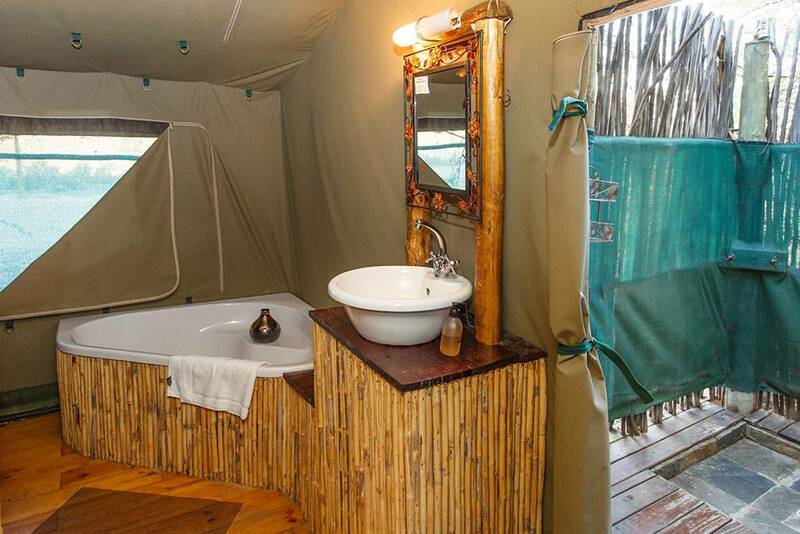 The showers, with a roof of stars – something to experience. 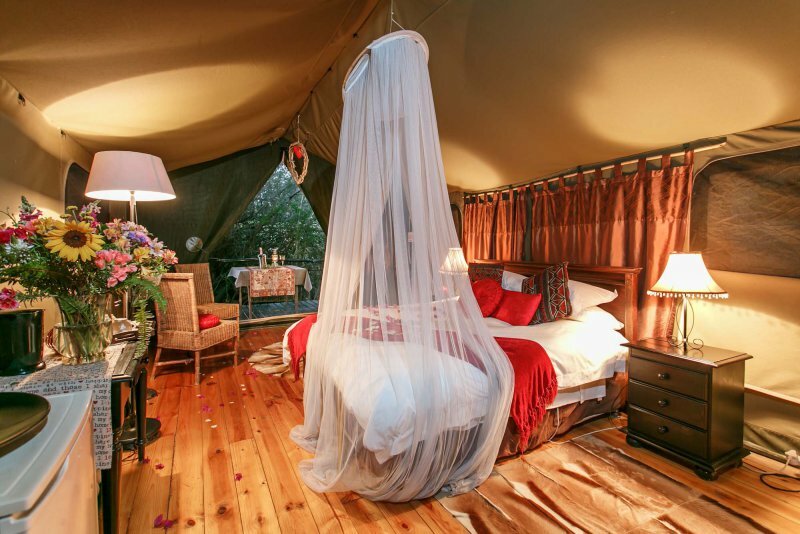 2 stretchers can be provided for kids under 13. 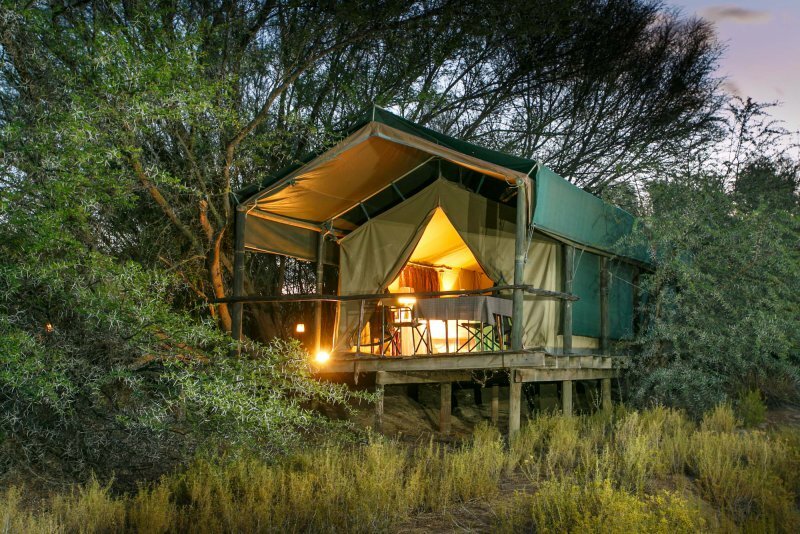 “Highly Recommended” by Drive Out. 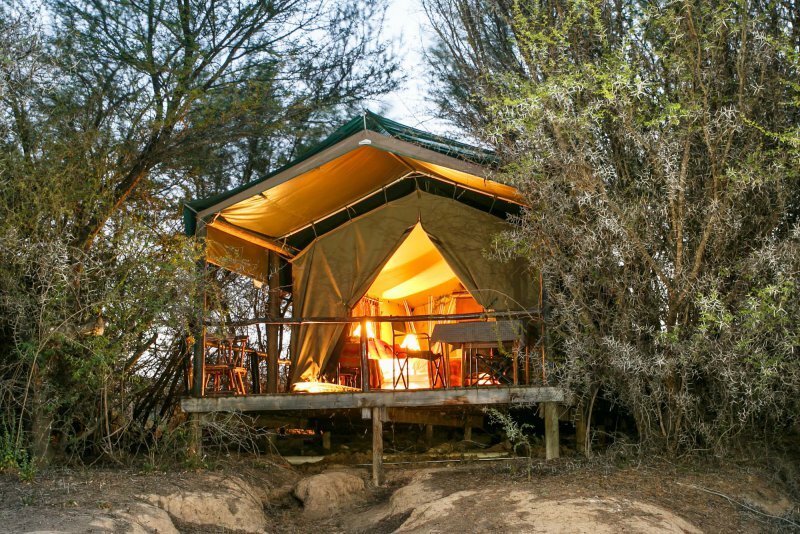 Confirmation only after deposit has been received. 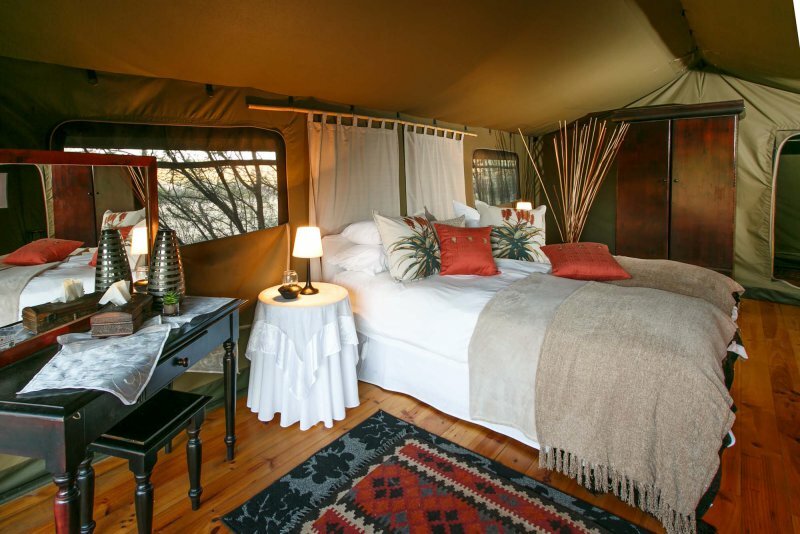 Check in 14h00 – 17h00. 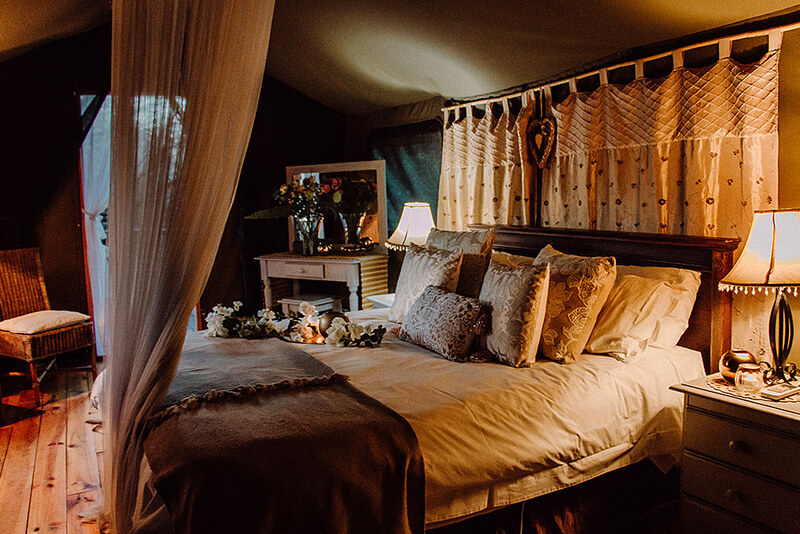 Kindly arrange in advance for late arrivals. 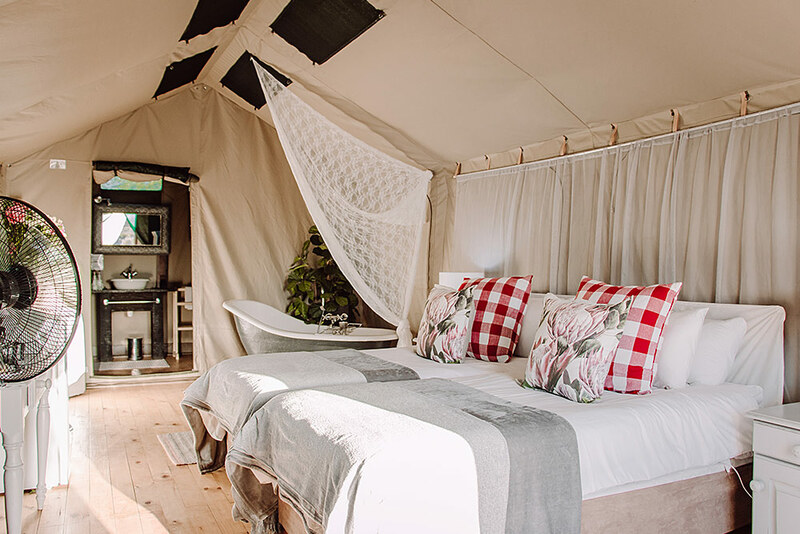 The chalets have been rated as “Highly Recommended” by the popular Drive Out magazine and the AA also recently highly recommended our tented accommodation.